Canadian Experience Class (CEC) has been created for the people, who have lived in Canada for some time with good English or French language skills and have good and suitable work experience as a skilled worker, to help them to take part in the economy of Canada. Those who are staying in Canada as a foreign student or as a temporary foreign worker and have work experience as a skilled worker are given the opportunity to attain permanent residency under the Canadian Experience Class. Effective 01st May, 2014 a new cap of a maximum of 8,000 applications will be accepted under Canadian Experience Class application. The following is the list of the occupations that are not included to qualify under Canadian Experience Class program. Furthermore, no online payments will be accepted for permanent residence applications under the Canadian Experience Class program at this time. In Canadian Experience Class Process to file the applications under the Canada CEC program, as a first step, the applicant has to know about all the required forms available online, which need to be completed with genuine details and he/she has to ensure that none of the necessary forms to be filled are missed out. The applicant has to also take a language test and include the test results along with his/her application. • Processing his/her application and also for the family members. Fee has to be paid in Canadian Dollars. After meeting the fees requirements, the application can be submitted. 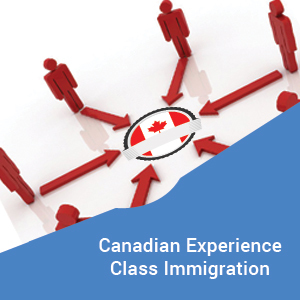 Applications under Canadian Experience Class program will be the last ones to be received under the present system, prior to the launch of the Express Entry in January 2015. 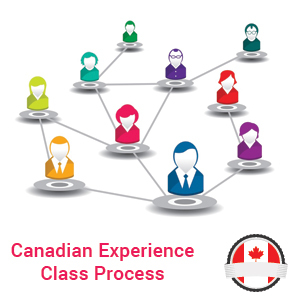 Canadian Experience Class processing time depends on the processing time of applications received under various categories and hence the processing times are subject to change. To Know more about Canadian Experience Class fill out MoreVisas Enquiry Form, And also follow us at MoreVisas Official Facebook Page.